In order to support more high accurate cylindrical grinding job to impove center hole circularity. ・The center hole needs the perfect circle on center and center hole for grinding job. If center hole is not perfect circularity, cylindrical workpiece center will always move when rotating, therefore it is impossible to grind accurately. ・Spindle invertor (max 40,000rpm) is standard. 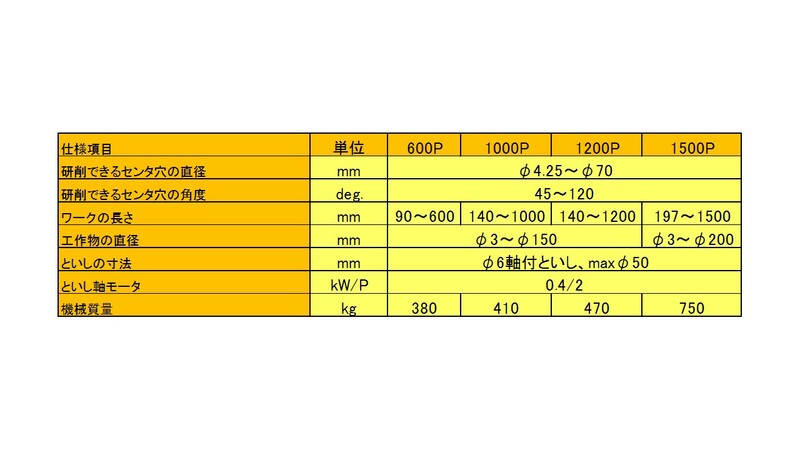 ・Wheel form angle 0-180 has been widely expanded from previos model. ・Grinding spindle has high speed planatary axis movement for grinding a workpiece in stationary condition so it is not necessary to make datum face on O.D. to hold. ※Center hole grinding machine CHG series is manufactured by Giken Co., Ltd.